I'm still working on the Arizona page, but in the mean time here's a brief preview. These are just the highlights; Arizona has many miles of the original pavement including the longest stretch that hasn't fallen to the Interstate system. 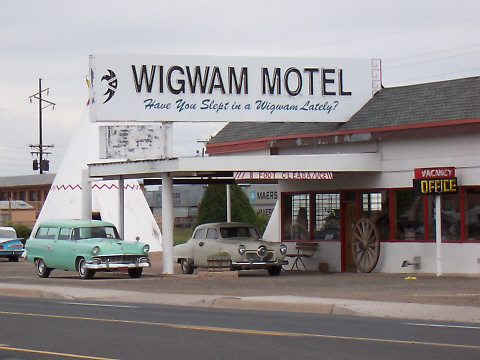 Yes, you can sleep in a wigwam. But make reservations! It's a small motel and very popular. 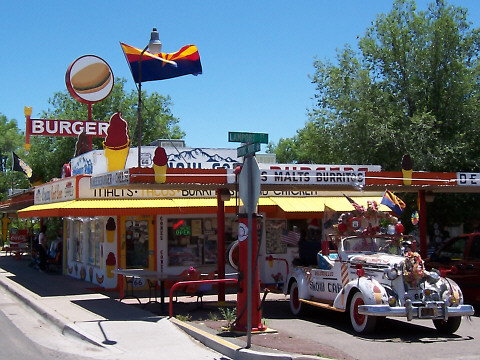 Seligman, Arizona is with out a doubt the best "fun spot" on Route 66. Have a bite to eat and then spend some time exploring the museum/gift shop next door.